Schambs Property Management Group, Inc. was formed in 2006 in response to a demand for a locally-based management company with the ability to professionally manage rental properties, while at the same time maintaining a personal, hands-on, and responsive approach. Since our initial portfolio of 4 homes in 2006, we have steadily grown and now manage more than 325 rental properties (including single family homes, townhomes, condos, duplexes, and quadruplexes) all across the greater Triangle area. We are thankful to note that the majority of properties in our portfolio have been primarily procured through direct referrals and word-of-mouth recommendations from our satisfied clients. Our two most important goals as a company are to provide top-notch landlord representation, and to offer residents the best rental properties the Triangle area has to offer! At Schambs Property Management, we take pride in providing top-notch quality services to our landlord clients. 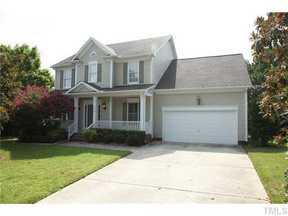 Regardless of the property's value or location within Wake County, we handle your investment as if it was our own. The result is that our clients are able to relax with the knowledge their investments are in capable hands. Besides assisting our landlords grow and maintain their rental investments, we strive to establish and sustain strong mutual relationships with both our landlords and residents. We understand how careful and considerate you were when it came to investing in your rental property. Hence, we can see why you are equally determined to acquire only the best property management company to manage your investment in Raleigh, Cary, Apex or surrounding areas. You can trust Schambs Property Management for the finest property management services in Raleigh, Cary, Apex, and beyond. 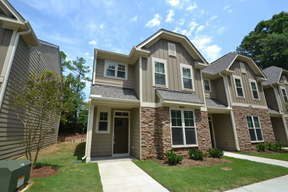 If you are a resident looking for a place to call your home in Wake County, look no further. 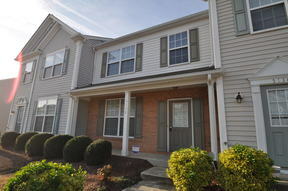 Schambs Property Management may have just the perfect property for you. We maintain a wide variety of unsurpassed residential rentals in our portfolio, which includes a multitude of single-family homes, duplexes, quadruplexes, townhomes, and condos. If you own a rental property in Wake County, NC, our team can help you manage and grow your investment to significant levels. We have the know-how, resources, and experience needed to handle every aspect of your rental properties. We can consummately handle asset management, vacancy marketing, applicant screening, routine inspections, repairs, and maintenance, as well as attend to resident’s concerns. On the Schambs Property Management website, you'll find more information about our services and how you can manage your landlord account. Utilizing our cutting edge management software, our landlords are able to check their latest statements, invoices, and reports. Our residents are also able to pay their rent electronically, request repairs, access their lease documents, and much more by utilizing their online portals. Please don't hesitate to contact the Schambs Property Management office directly in the event you have any questions or need any type of assistance. 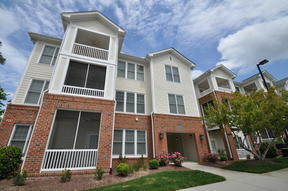 We are a locally owned and successful property management company with over 10 years of experience based in Cary, NC. Our centralized location allows us to effectively manage rental properties in Raleigh, Cary, Morrisville, Apex, Holly Springs, Fuquay Varina, and Garner. We are versatile and flexible enough to adapt to any unique requirements your property may possess. Our range of services for landlords include developing effective rental contracts, listing properties in MLS as well as a myriad of websites, rent collection, handling tenant evictions, resident screening, conducting property inspections, facilitating maintenance and repairs, as well as carrying out monthly financial reporting. Our landlords also enjoy monthly electronic rental disbursements free of charge. If you are in search of an attentive and qualified property management firm to promote and manage your rental, please contact us and let us show you what we can do. We are a professional residential management company with years of experience servicing Raleigh, Cary, Apex and its surrounding areas. As a result, we understand how invaluable the proper marketing and advertising your property to potential renters is. Our skills, coupled with experience helps us to employ and focus our time, resources and superior competitive strategies, to locate and attract quality residents. Consequently, your property will experience minimal vacancy rates, guaranteeing you the best returns on your rental investments. Attracting quality residents is easier said than done. Some potential tenants will do what they can to present what a landlord may only wish to see. It is for this reason that thorough screening of applicants is an absolute necessity in today's age. At SPM, we have in place a meticulous screening process, whereby applicants can complete and submit a comprehensive rental application, all done online through our website. After receiving an application, we conduct an extensive background check of criminal records, credit history, prior rental performance and employment/compensation confirmation. Although collecting due rent from tenants might seem like a pretty straightforward task, DIY landlords soon realize that it can prove to be exhausting, especially if you have difficult tenants. Soon, owners may face challenges such as past due rent, and even evictions due to non-payment. The expectation of timely rent payment is made clear to all our tenants during the application and screening process. Consequently, rent is collected and delivered to you on time. We help you save valuable time and money by carrying out routine property inspections. Our experienced team will conduct annual visits to the property to inspect and verify that your property remains in good condition. In the event we discover any existing or potential property damage, we swiftly take proper corrective action. This proactive approach keeps our residents accountable and preserves the value of your investment. Our team of specialists ensures that your property remains well maintained. This allows us to reduce the frequency of repairs our managed properties require, as well as the amount of time and money you spend on repairs. While we have no ownership role with any companies in our contractor pool, our contractors offer our landlord clients preferred pricing due to our volume of business. Our contractors are also counseled extensively with respect to appropriate on-site conduct, expected levels of workmanship/professionalism, appointment scheduling, and overall demeanor when communicating with your tenants. Evicting a tenant is not pleasant and never wanted, but at times it is unavoidable. Handling a problematic tenant is never an enjoyable experience but by working with us, our clients pass those worries over to us. If an eviction becomes necessary, SPM will utilize an attorney well versed in tenant/landlord law. This expedites the eviction process, ensures the lawsuit is properly processed, and that our landlord's losses are minimized to the greatest extent possible. We follow a strict eviction procedure whereby we handle the entire tenant eviction process from start to finish on behalf of our clients. 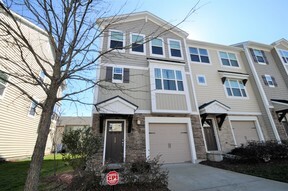 Being a professional property management company in Cary, NC we strive to provide our clients with the best strategies, tools, and resources for their investment. For instance, we provide our landlord clients with online, anytime access to our internet based financial reporting software, which enables them to access relevant financial information about their property. As a result, they always have adequate, pertinent information to aid in their decision-making process, budgeting, tax preparation, etc.